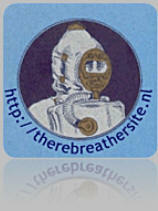 Since the Inspiration rebreather is on the market people have made back mounted counterlungs in various ways. 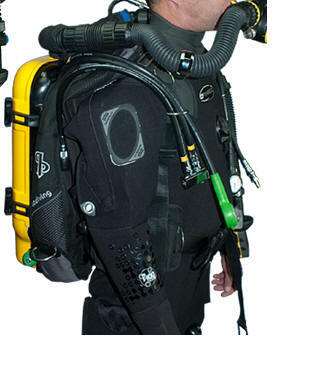 A clutter-free chest is a desirable thing for wreck- and cave divers. 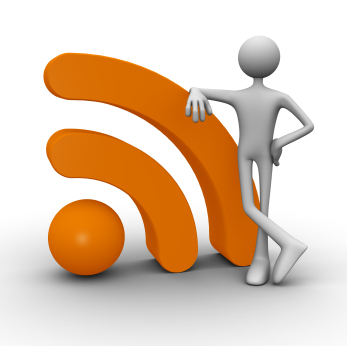 Some of the early design's are published here. 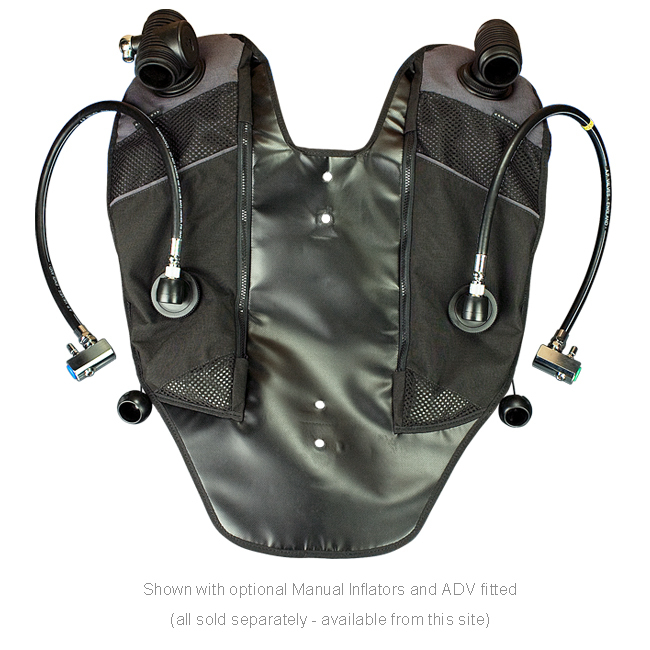 The "official" Inspiration rebreather Back Mounted Counter Lungs (BMCL) are finally available with CE approval and can be fitted to all existing APD rebreathers. APD did a great job in designing the lungs to give great breathing performance. 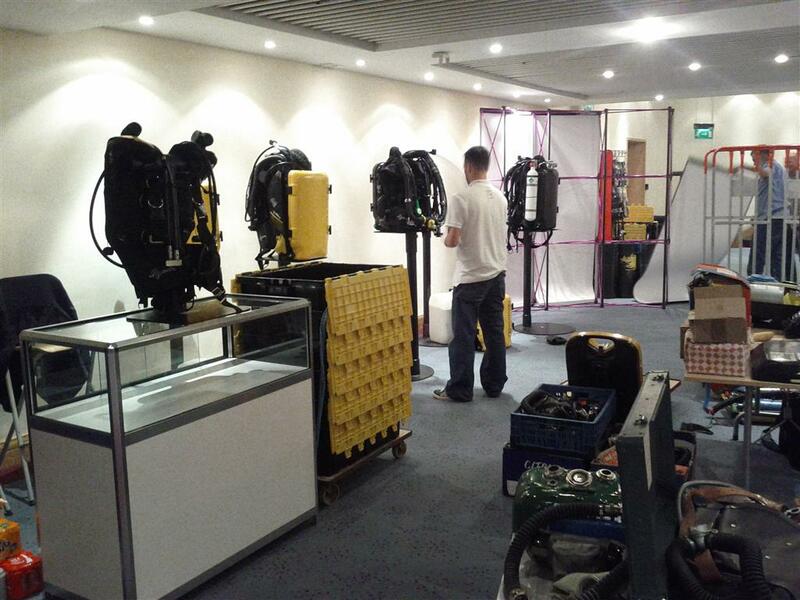 First introduced at Eurotek 2012 in Birmingham the lungs are produced of the usual high quality materials we know APD uses for there rebreathers. Main goal of the BMCL was to obtain a clutter-free chest area. APD managed not only to built a nice set of lungs but in fact build a hybrid set of counterlungs. 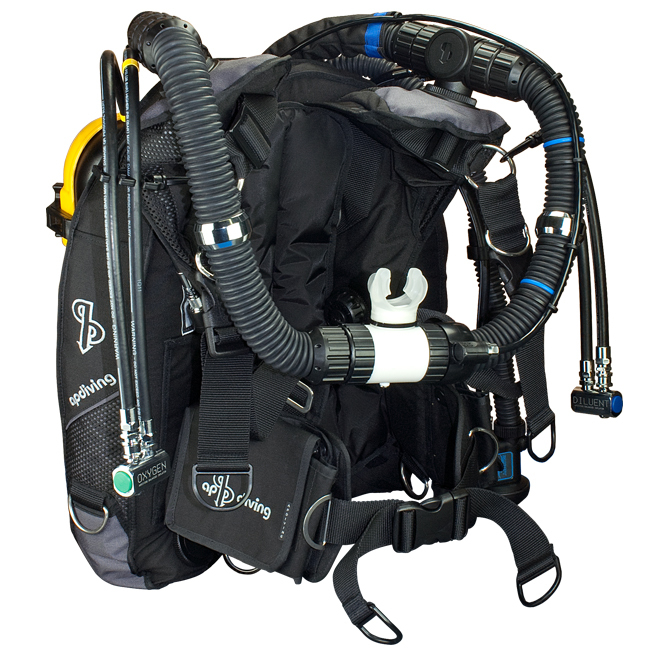 Back mounting normally means that in some positions the diver will have difficulties in breathing normally since the CL are in an unusual position compared to his lungs. Due to the hybrid character the lungs are of the "over the shoulder" type in this way insuring a low work of breathing. APD has made manned and unmanned trials and testing and managed to get CE approval for there BM lungs. BMCL come in two color settings, black-gray or Black-yellow. 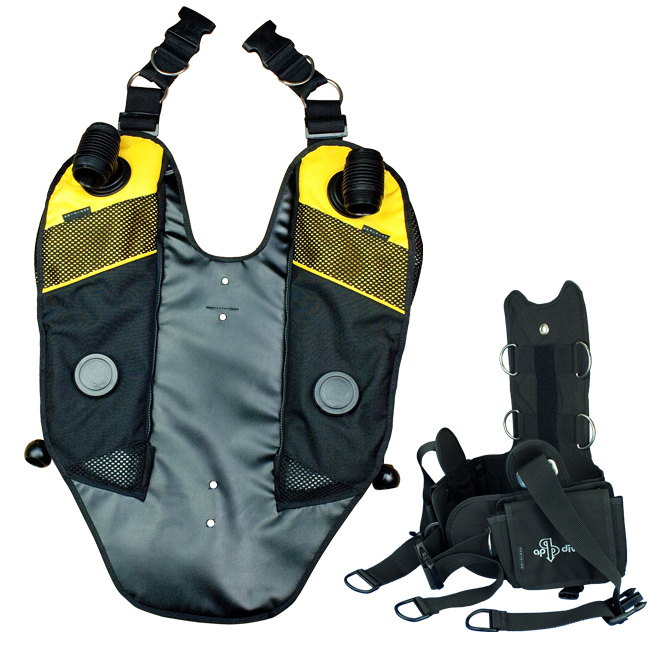 A special harness is provided to allow weights or materials in front of the diver. Since the manual inflators on the lungs are out of reach it is highly recommended to have both the diluent and the oxygen inflators connected to the BMCL. The ADV can be replaced from the original lungs to the BMCL. Some users only add the oxygen addition system because the ADV offers the possibility to add diluent through this device. For safety reasons I would advice to have the manual diluent addition inflator too. If you order BMCL please let APD know if you have both T-pieces with the same thread (old style) or newer T-pieces were inhale and exhale threads differ. Standard delivery is only with Diluent inflator. You must order both the Oxygen inflator and ADV seperately. 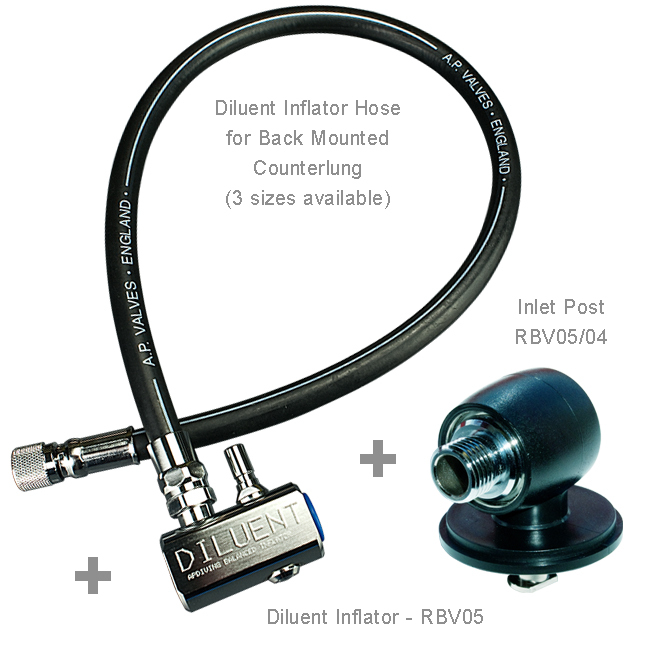 Diluent inflator is ordered separately or as set. 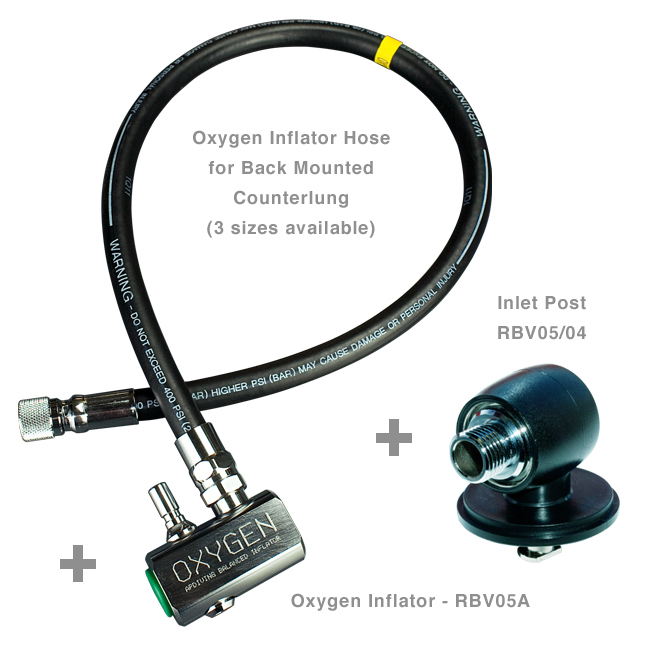 Oxygen inflator is also available separately with different hose length (3) and can also be ordered in a set.